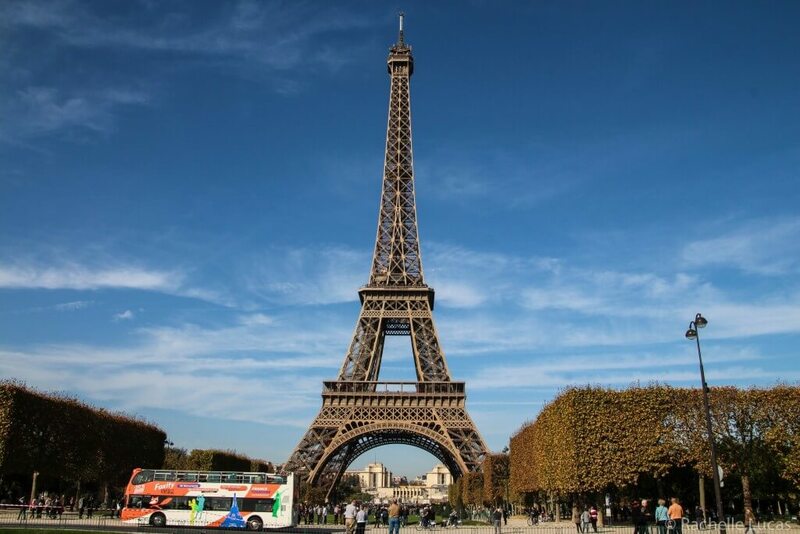 Traveling to Paris is a bucket list dream for many, but when you finally get down to planning your trip and start searching for Paris hotels, the sheer amount of places available within all the different neighborhoods throughout the city can be a bit overwhelming. There’s well over 2,000 hotels in Paris, and with that many choices, how can you be sure to choose the “right” one? This is exactly how I felt when planning a trip to Paris with my mom last fall. 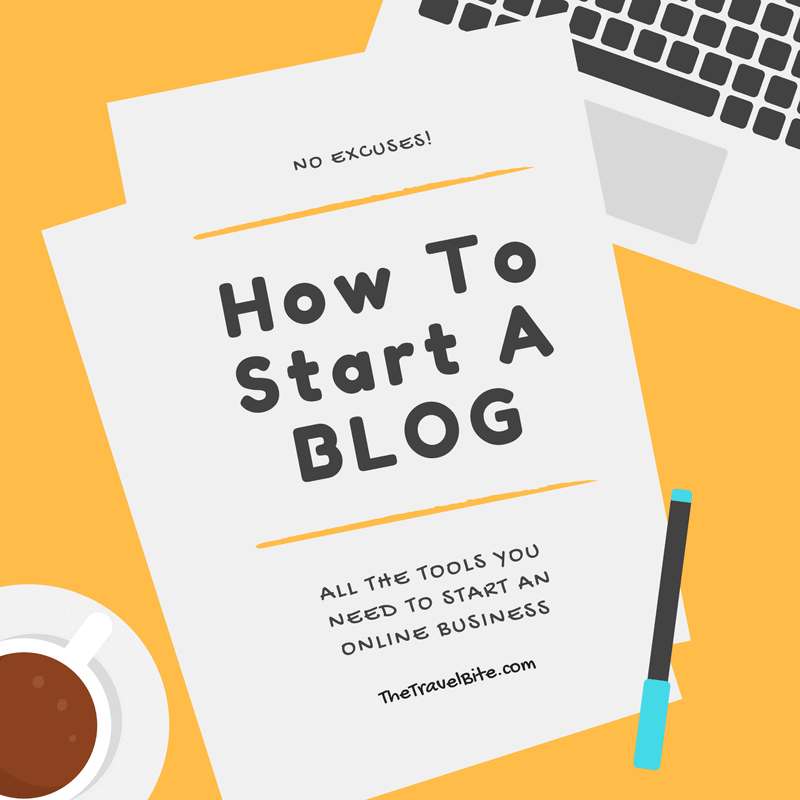 I must have had four or five tabs open in my browser for days, comparing everything from apartments to popular hotels, and I was afraid to commit. Isn’t that always the paralyzing problem of having too many choices? 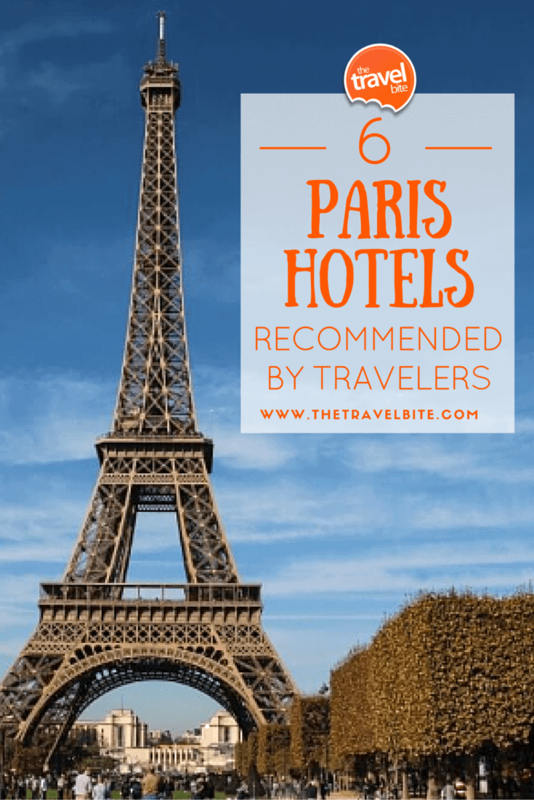 So, I let social media help me pare down the selection by asking friends about their favorite places to stay in Paris and curated a fabulous list of traveler-approved properties that I’ve included below. There’s actually something for everyone here — from budget, to residential, to the ultimate in luxury. 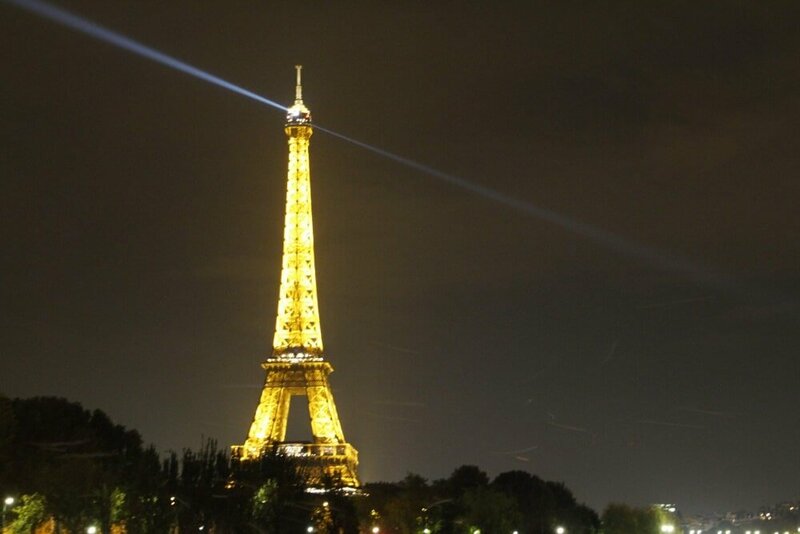 The Eiffel Tower sparkles at night. What It’s Got: Elegantly appointed rooms, luxurious amenities, and unparalleled service. 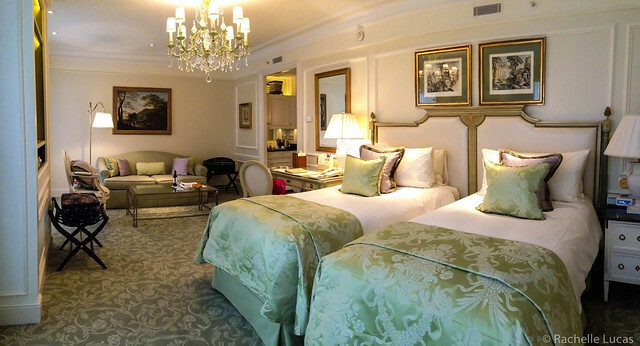 If you want to be spoiled and pampered, the Four Seasons is the place to stay. Some upgraded suites have a view of the Eiffel Tower. Travel Tip: Make a dinner reservation for the most exquisite French Cuisine at Le Cinq. This is where my mom and I ultimately stayed, so get an inside peek at the rooms and watch my Hotels Unstaged Video for Four Seasons Paris. What It’s Got: Private luxury apartments that are elegantly decorated and include a kitchen in case you get inspired at the local markets and want to channel your inner Julia Child. They also have a full concierge service to help you with your stay. Travel Tip: These usually require a minimum length of stay, so not so good for weekenders. Address: Multiple. See website for specific neighborhoods and number of bedrooms available. 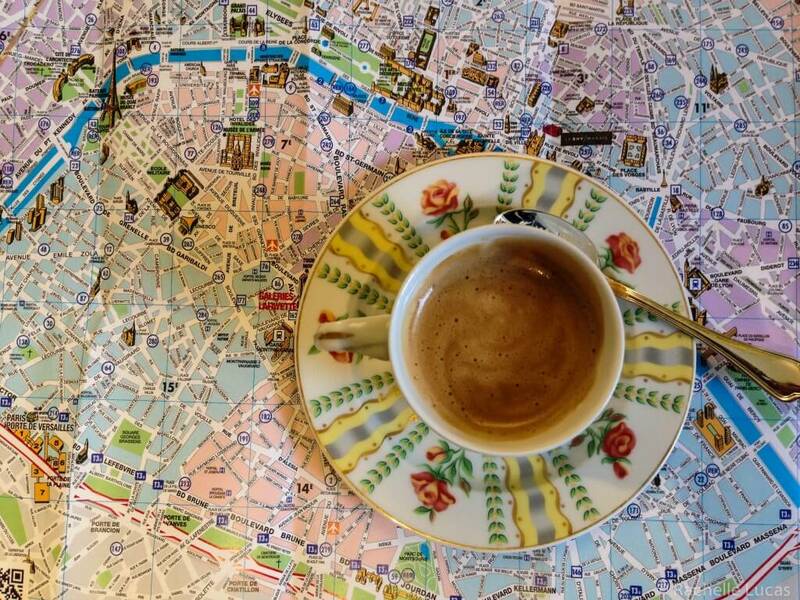 Planning our sight-seeing for the day while sipping a Nespresso in our room at the Four Seasons. What It’s Got: Inspirational quotes painted on the walls, colorful decor, whimsical lamps, and little fun surprises around every corner of this art-filled boutique hotel. It’s located in a great neighborhood that’s walking distance to most popular sites. Travel Tip: This one appears to not have an elevator (happens a lot in Europe), so pack light or be prepared to lug your luggage. After a rainy first day in Paris, we had to go back and see the Eiffel Tower again amid blue skies. What It’s Got: There’s breakfast available and a place to store your luggage when arriving early in the morning from the USA and they’re very accommodating to first time travelers. Upgraded rooms here have wonderful views of the Eiffel Tower, but there’s only a limited number of them. 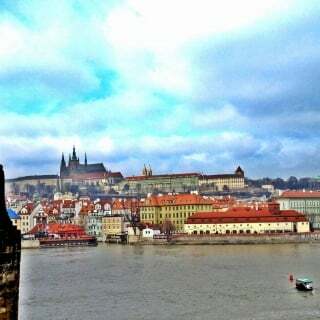 Travel Tip: One of my friend’s stayed here after seeing it on Rick Steeves’ show and stayed in a room with a view. Her tip — you have to book it almost a year in advance for the view. 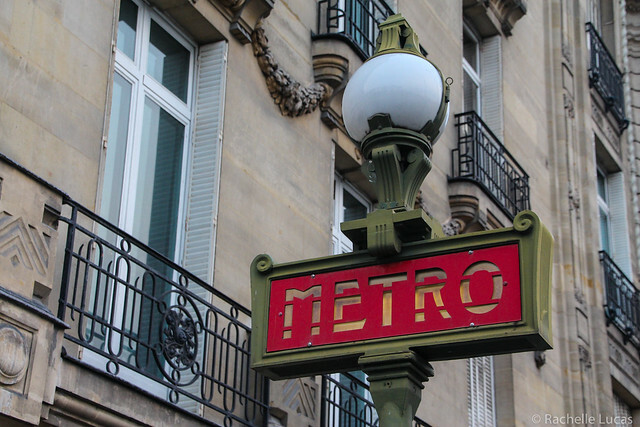 The art deco Paris Metro signs are fun to photograph. What It’s Got: Sought-after views of the Eiffel Tower, a Nespresso Machine, and sleek, modern, almost futuristic design — but you’ve got to specifically request the upgraded Privilege Room With Eiffel Tower View. Travel Tip: Rooms with a view go quick, so make your reservation well in advance. 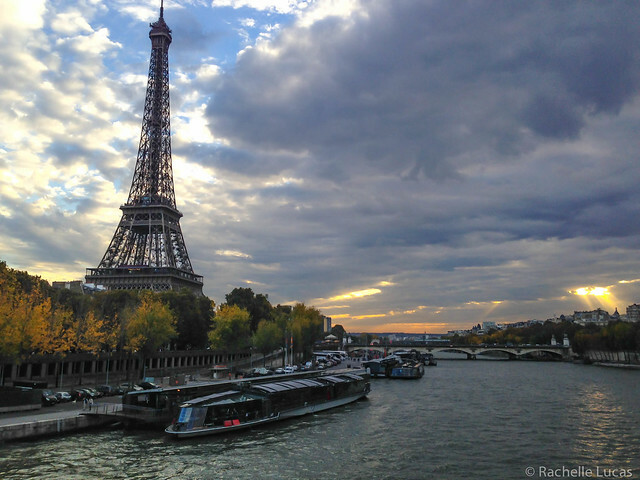 Sun setting over the River Seine. What It’s Got: A variety of accommodation types from cute and cottagey, to elegant and modern. 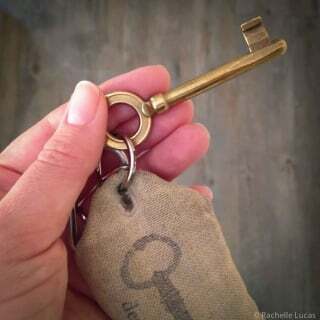 Some are private apartments and some you might stay with the owner like a bed & breakfast. Travel Tip: A minimum number of room nights are typically required, so I recommend this for longer stays. Very nice photos! We stayed in a hotel a few years ago with a view of the Eiffel Tower and it was spectacular watching the tower light up in the evenings.